The ENFiD2017 Conference and General Assembly Team wishes to sincerely thank every participant, speaker, facilitator and guest for contributing to a highly satisfactory exchange on migration and development. Congratulations to ENFiD-Germany and ENFiD Europe Teams who zealously worked to materialize agreed plans with meager resources. No doubt, kung sama sama, kayang kaya! Our Team work and unity as an organisation is paving a bright path for the future course of ENFiD. 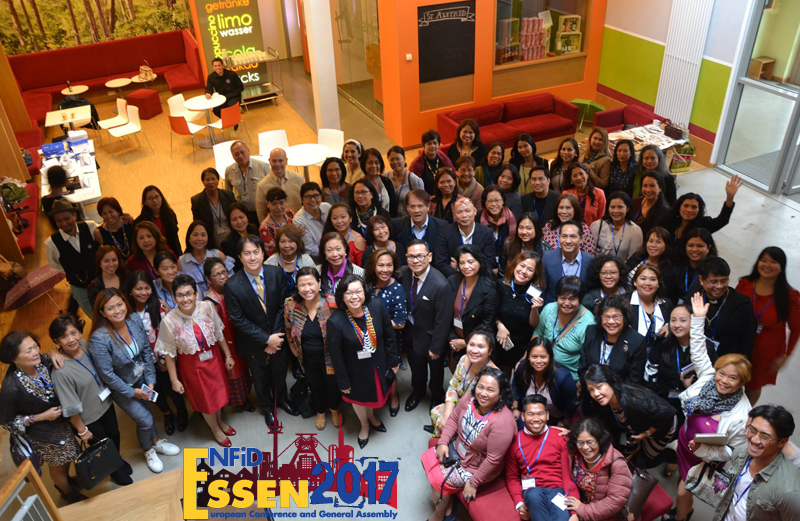 In behalf of ENFiD-GERMANY TEAM, I would like to extend our deepest gratitude to all of you who helped us making this ENFiD European Conference for Overseas Filipinos 2017 a memorable and successful one!!! Maraming maraming Salamat po!!! Mae, Tanja, Chris, Leng, Johnjohn, Marivic, Rheynan. Special mention to Wendell Adrian Schardin!!! ENFiD Friends who supported us by buying Raffle Tickets and made an effort to attend and celebrate with us our Cultural/Gala Night. Special mention to Ms Grace Schardin for her dedication and for being always there for us, 24 hours, to keep this event moving! And lastly, to those who in one way or another have supported us to make this event possible. Hope to see you all again next year in France!! !